O’Dwyers GAA is a community club which welcomes players of all talents and abilities. If you or someone you know would like to join our club please contact the relevant manager. Contact details can be found on the team’s section of our contacts page. Our club always welcomes new coaches and managers. We have a variety of opportunities available right through from the nursery up to senior level. O’Dwyers will provide you with the appropriate support and guide you through taking your coaching qualifications. For more information, contact us below by filling out the form or through our contacts page. O’Dwyers GAA are always interesting in getting some administrative personnel and volunteers to help out throughout the club. If you have a couple of hours a week or maybe only an hour a month, we always need help with fundraising and organising our club. For more information, contact us below by filling out the form or through our contacts page. O’Dwyers GAA offers our sponsors a wide range of incentives and benefits for sponsoring our club. 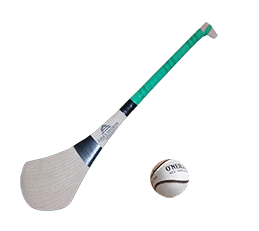 Whether you would like your company name to appear on one of our team’s kits or your logo to appear on our website, O’Dwyers GAA. has a package to suit your needs. To discuss how O’Dwyers GAA can help advertise and promote your organisation or company, contact us below by filling out the form or through our contacts page. O’Dwyers GAA clubhouse is located in an ideal location in Balbriggan to cater towards your needs. With a large function room, ample parking facilities and a plethora of outside space, it is well suited to any classes or meetings. It is well recommended by a variety of local groups and clubs. We offer a variety of packages and price-points with further details on our facilities available. For more information, contact us below by filling out the form or through our contacts page.